After breakfast drive to Jodhpur. On arrival at Jodhpur check-in at hotel. Evening free for shopping around the local market. 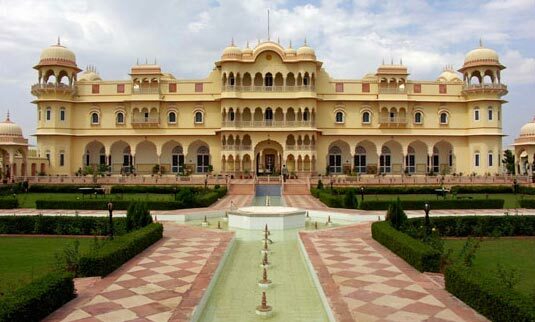 Overnight stay at hotel.Jodhpur is known as the "Sun City" for the bright, sunny weather it enjoys round the year. It is also referred to as the "Blue City" due to the bright blue-painted houses around the Mehrangarh Fort. The old city circles and the fort is bounded by a wall with several gates. Whereas, the city has expanded very much outside the wall over the past several decades. After breakfast go for full day for sightseeing tour of Jaisalmer. Visit the Jaisalmer Fort - Jaisalmer Fort is one of the largest forts in the world. It is situated in Jaisalmer city in the Indian state of Rajasthan. It was built in 1156 AD by the Bhati Rajput ruler Rao Jaisal, from where it derives its name, Manak Chowk, Havelis, Gadisar Lake - Gadisar Lake is one of the most important tourist attractions in Jaisalmer, Rajasthan, Its charm lies in the fact that it was the only source of water for the Jaisalmer city in the olden days, and the colorful markets. In the afternoon go for an excursion to Sam Sand Dunes. In the evening take a camel safari and enjoy the sunset at sand dunes. Later drive back to Jaisalmer. Stay overnight at the hotel.Jaisalmer was founded by Prince Jaisal Bhatti. The town stands on a ridge of yellowish sandstone, crowned by a fort, which contains the palace and several ornate Jain temples. Centuries ago Jaisalmer's strategic position on the camel train routes brought its locals enormous wealth which they spent in building intricately carved palaces and temples in golden-yellow sandstone. These fortresses of Jaisalmer also known as Havelis of Jaisalmer are like a mirage in the barren Thar Desert. On either side of the narrow lanes of Jaisalmer are the sandstone havelis, made up with stone carvings, screen windows, delicate pavilions and balconies. After having breakfast drive to Bikaner. On arrival check-in at hotel. Evening free to explore city by your own. 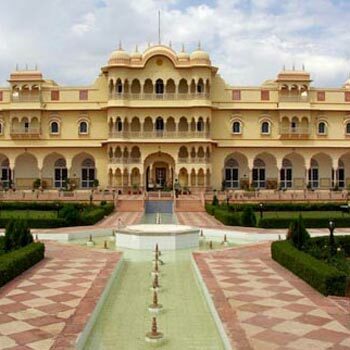 Overnight stay at hotel.Bikaner founded in 1488, the desert city of Bikaner is located in north-western Rajasthan. The city was founded by Rao Bika with the help of Nehra Jats. Bikaner was well protected from its enemies by the harsh deserts. It was also a major trade centre as it was located on the ancient caravan route which linked Central Asia and North India with Gujarat seaports. After breakfast go for half day tour of Bikaner, visiting the Bikaner Fort (Junagarh Fort)- The fort was originally called Chintamani and was renamed Junagarh or "Old Fort" in the early 20th century when the ruling family moved to Lalgarh Palace outside the fort limits, The Lalgarh Palace - The palace was built between 1902 and 1926 according to Rajput, Mughal and European architectural styles and the Deshnoke Temple (Karni Mata Temple) - Karni Mata, considered as an incarnation of Goddess Durga lived here in the fourteenth century and performed many miracles.Afternoon drive to Nawalgarh, on arrival check-in at hotel. Overnight stay at hotel.